A leading Nottinghamshire construction company and a local charity have joined forces to educate future generations about the issue of homelessness. 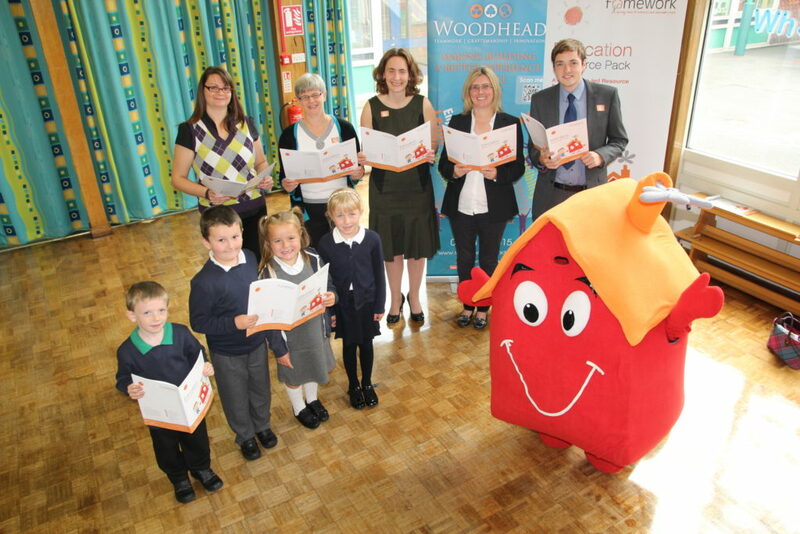 Nottinghamshire-based Robert Woodhead Ltd and Framework have worked together to produce a specialist education resource for primary school pupils – designed to help teachers approach the potentially difficult subject in an informative and appropriate fashion. This is not the first time the Nottinghamshire construction company has teamed up to help Framework, in July a team from Robert Woodhead completed a 27 mile trek in under 12 hours to support their work. Framework, which helps around 9,000 people every year right across the East Midlands, has been visiting schools for the last couple of years to help on an ad-hoc basis with a range of homelessness projects. Using sponsorship from the company, it has now developed a comprehensive learning resource, fronted by a glossy ten page guide which directs users to a wide range of activity and lesson resources on the Framework website. The schools’ pack, written by former schoolteacher Sally Smith, uses Framework mascot Roofus* to provide a range of fun and informative lessons and activities. All are to designed to help children to understand the impact of homelessness, to know that it is preventable, and to recognise their power to help others. By linking directly to the national curriculum, they are also easy to slot in with schools’ already busy learning schedules. Back row L/R: Head Teacher, Zoe Anderson, Sally Smith, Resource Writer, Fay Paterson, Robert Woodhead Business Development Manager, Andrea Carver, Partnerships Manager Framework Housing, Mathew Hall, Sales and Marketing Co-ordinator Robert Woodhead Limited.